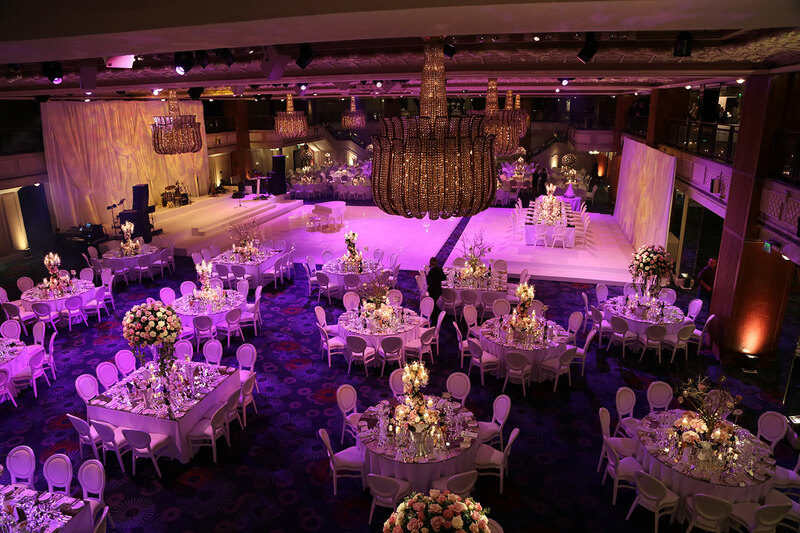 Working alongside the amazing wedding planners, Perry’s, we were brought in to provide the production for the event. 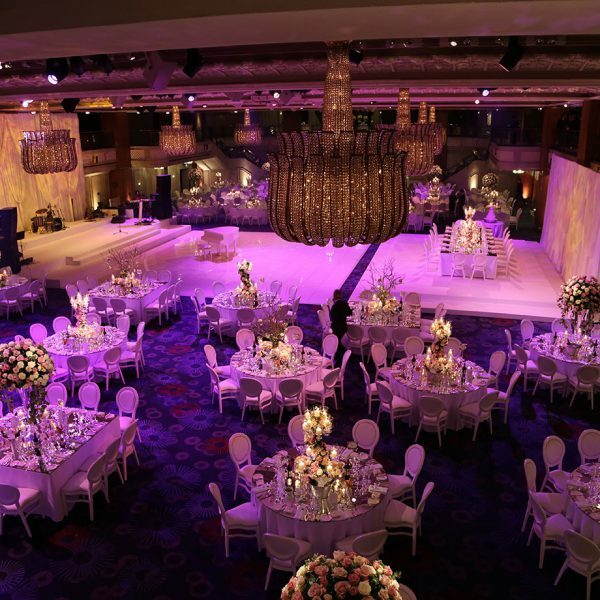 Lana and Tas’s wedding was a vision of pure elegance. 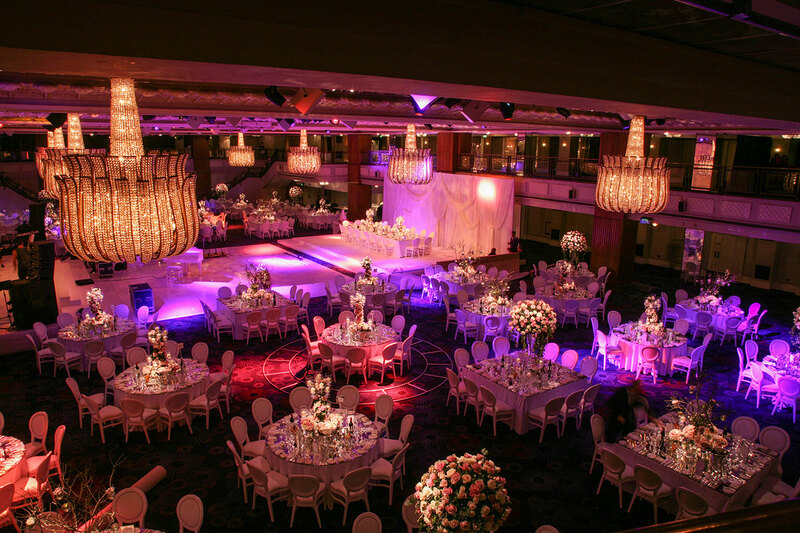 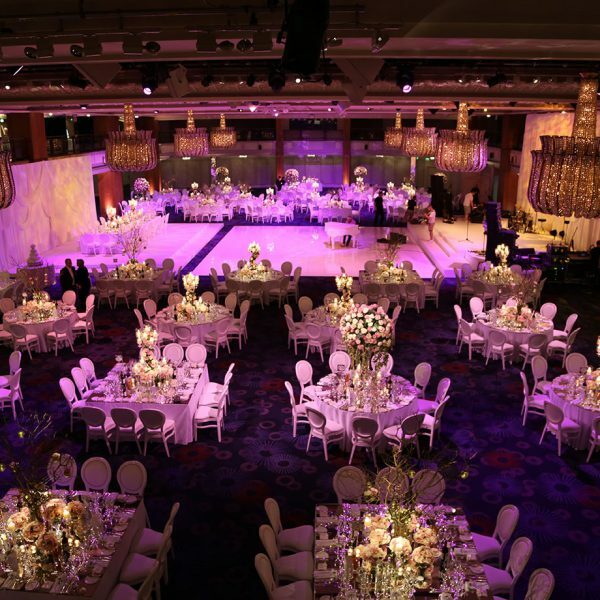 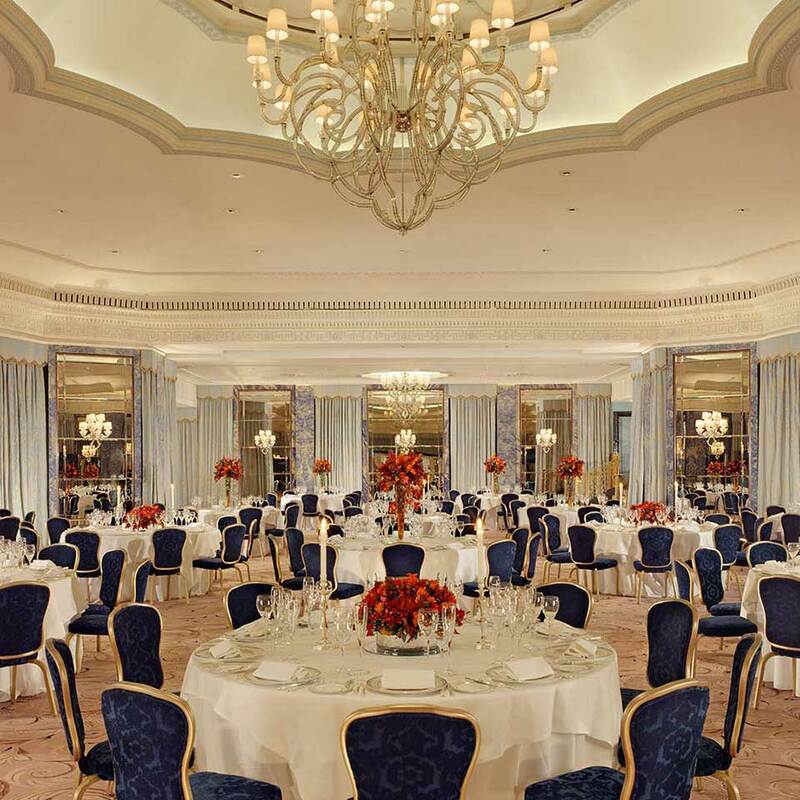 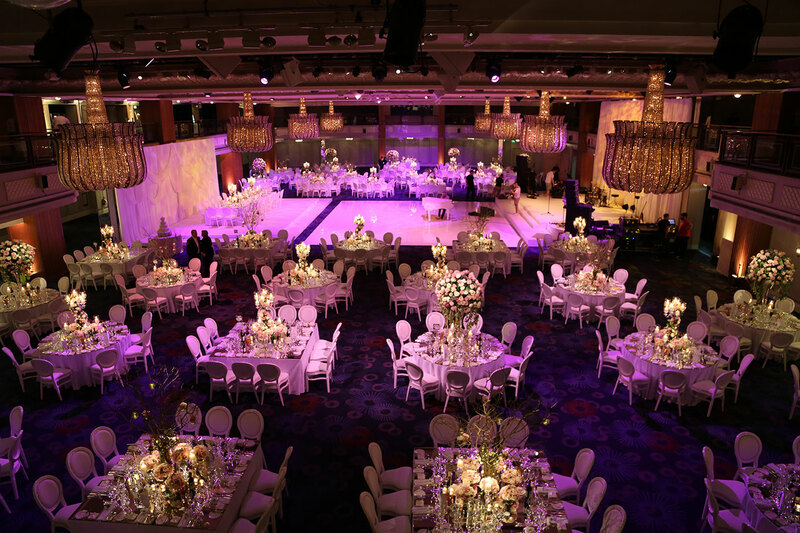 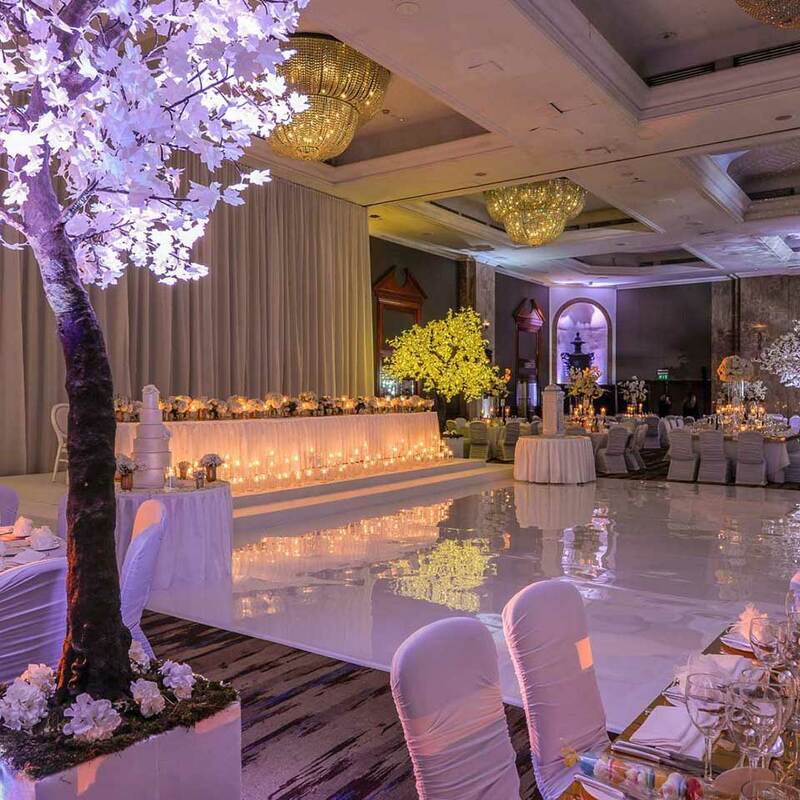 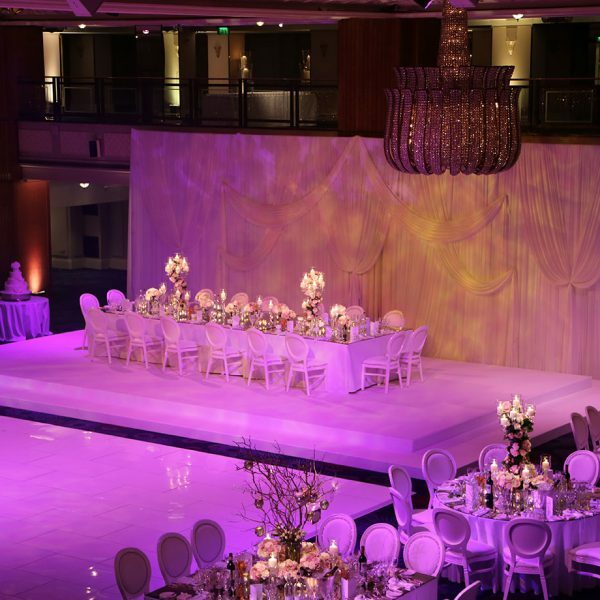 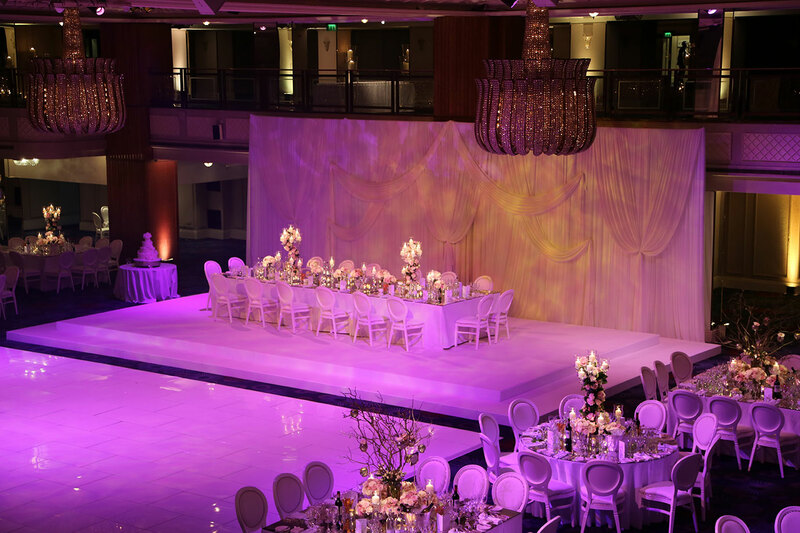 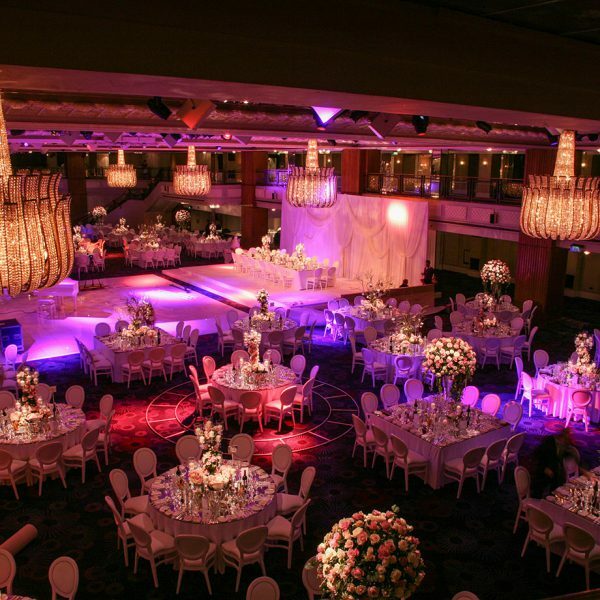 Working in the stunning Ballroom of the hotel, we helped to bring their dreams to reality providing lighting and sound to complement the room. 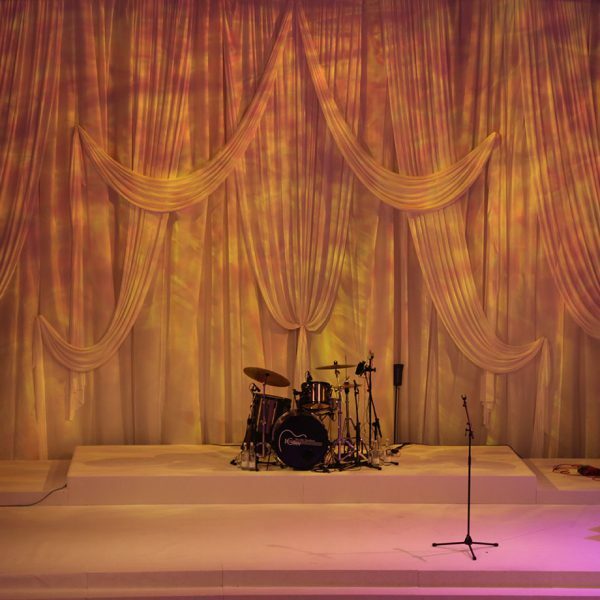 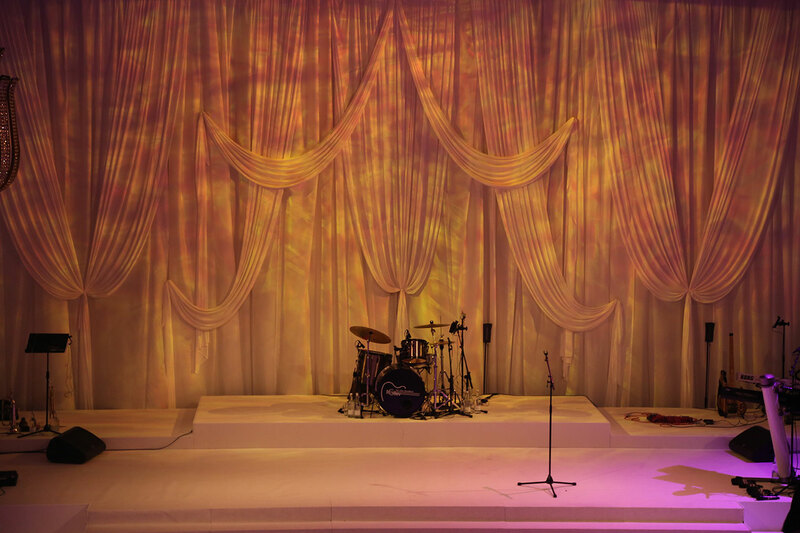 With over 300 guests, this was a huge wedding production and it was vital that Beyond Certainty ensured the sound was excellent quality throughout. 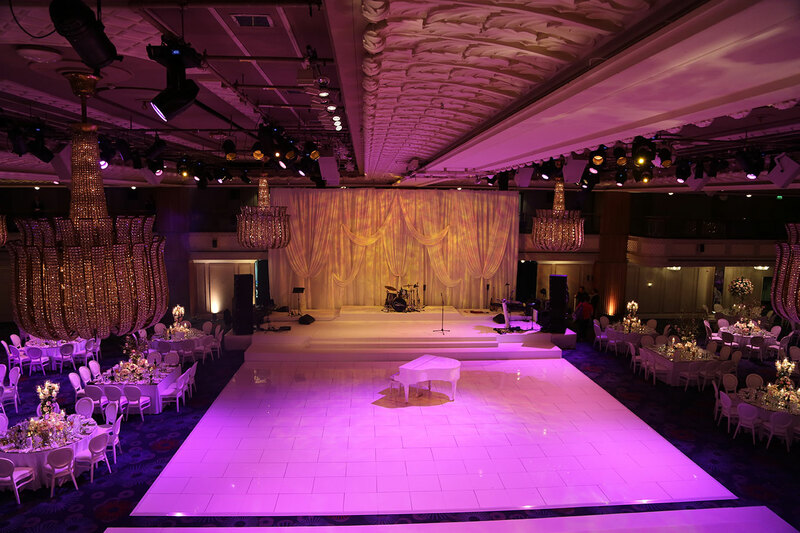 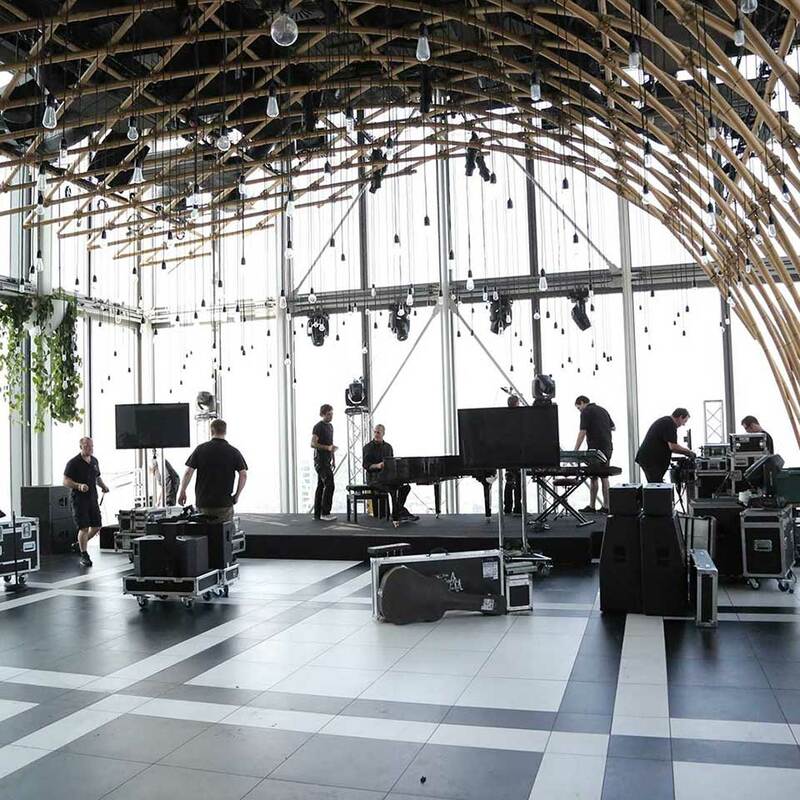 To do this, we brought in an extensive speaker system carefully positioned across the space. 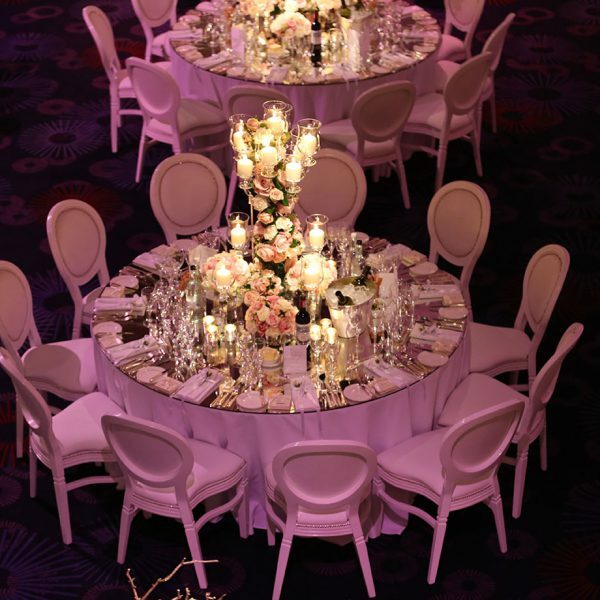 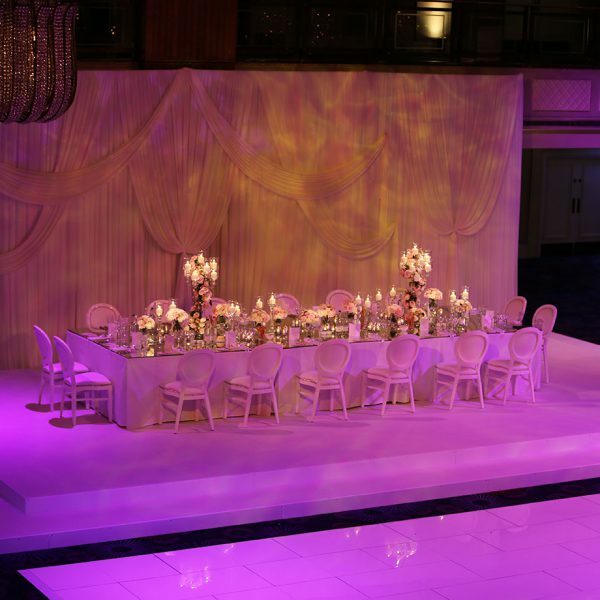 A truly unique island style top table was created to coincide with the clients ideas. 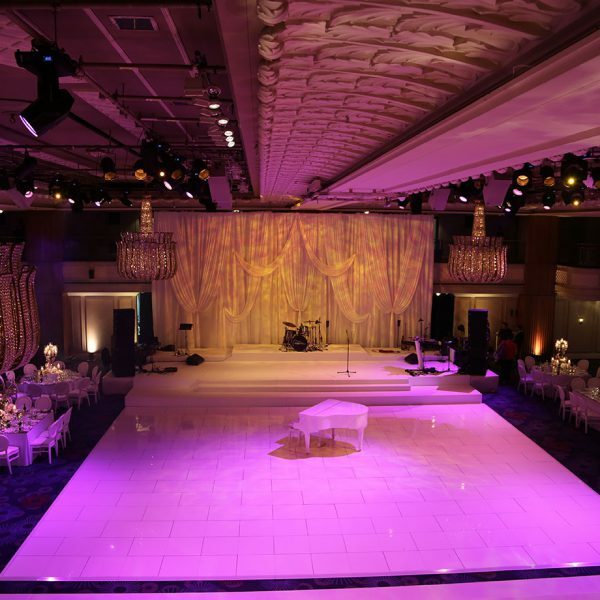 We assisted with the design and build of this and we were very happy with the finished result. 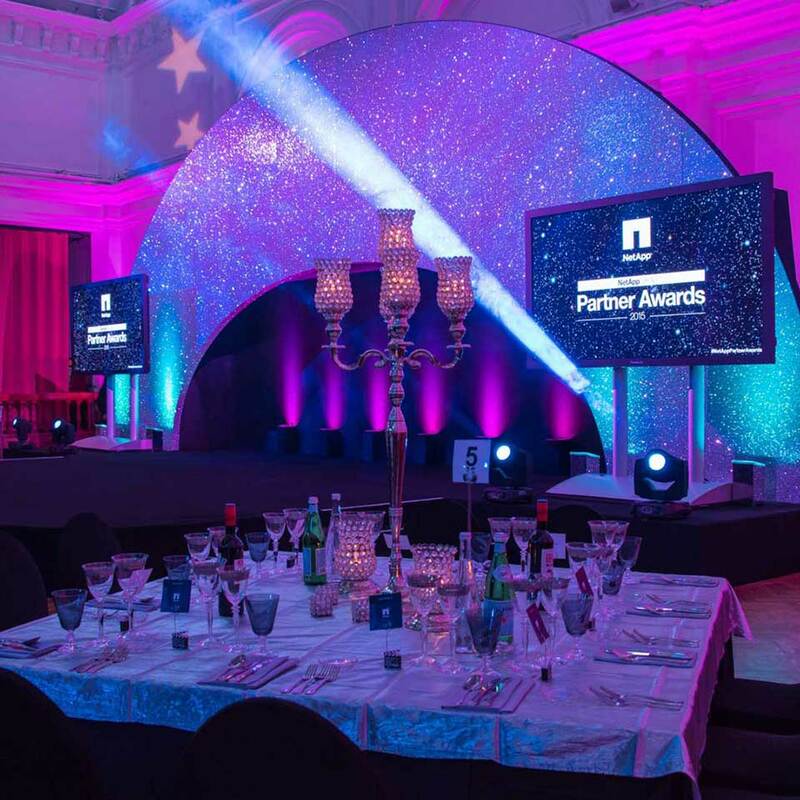 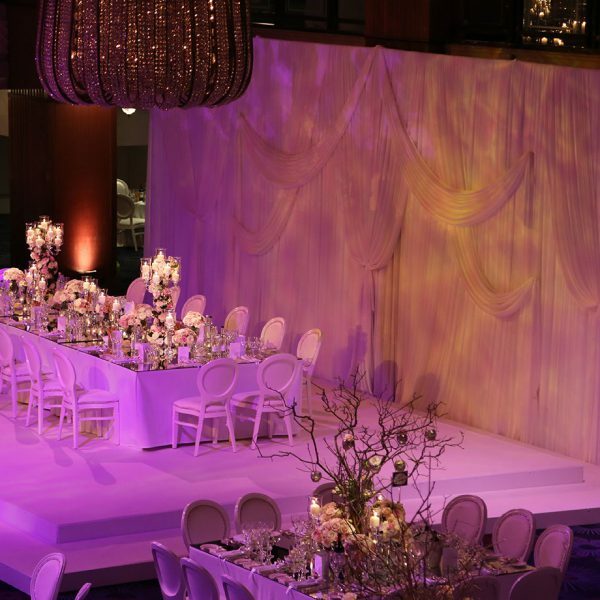 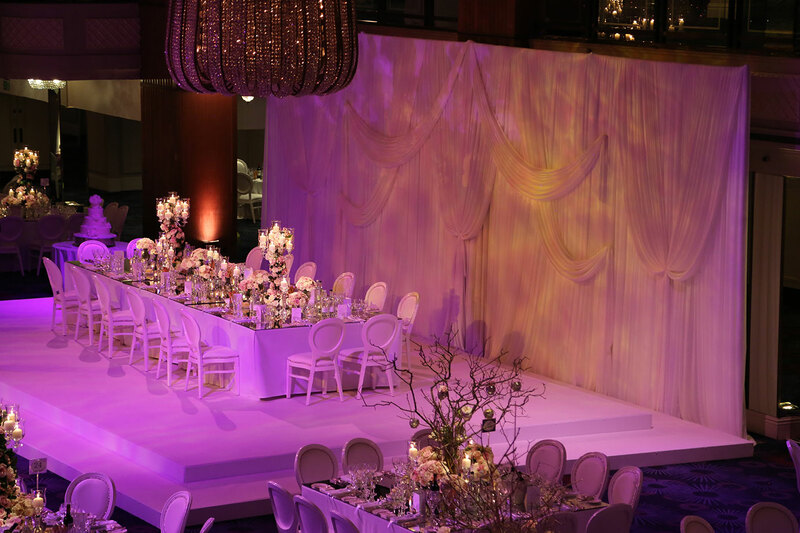 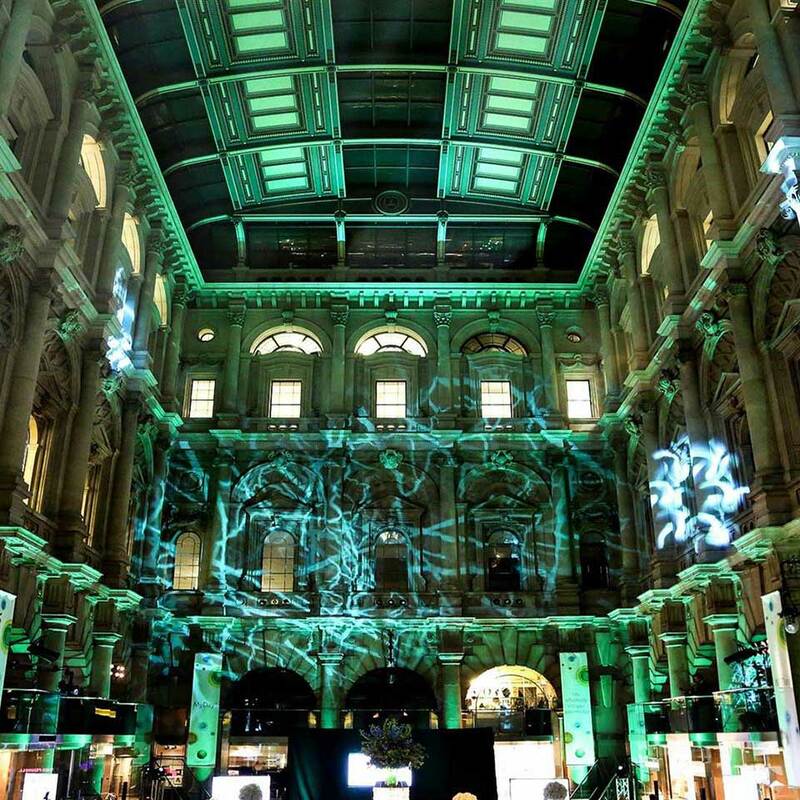 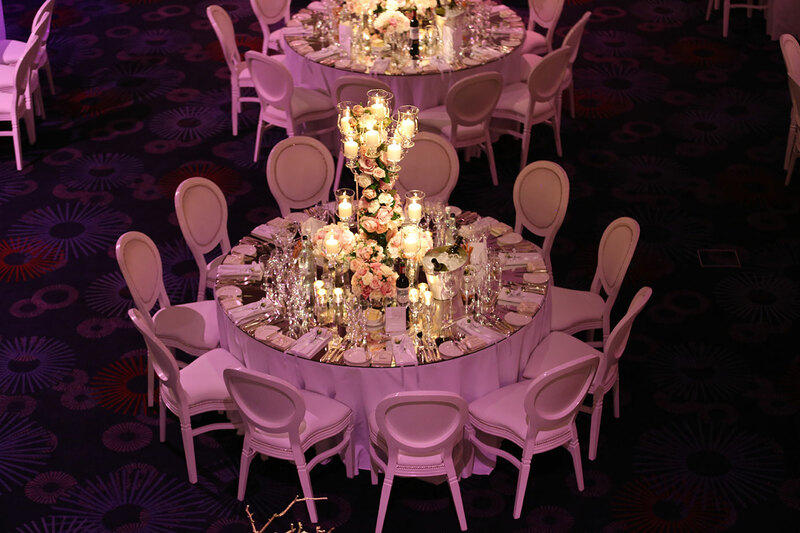 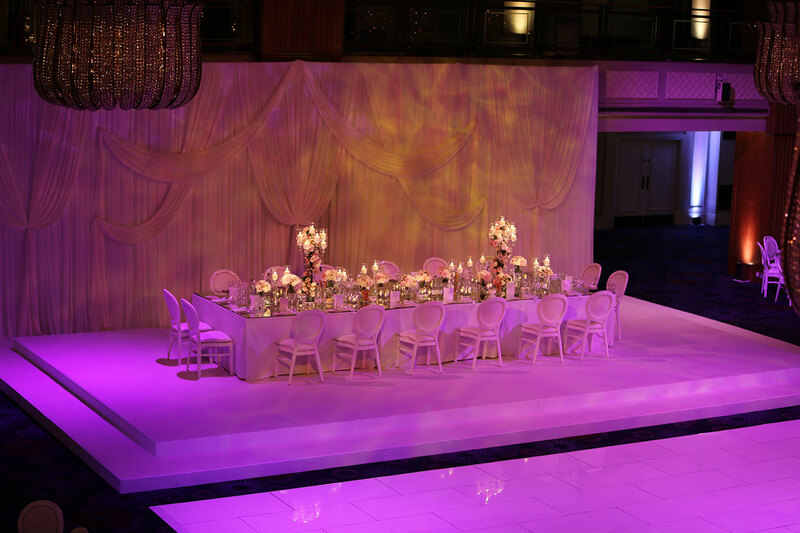 In addition, the lighting was thoughtfully designed to complement the colour scheme and highlight stunning décor such as mirrored tables and a stunning bespoke back drop of which we assisted in the design. 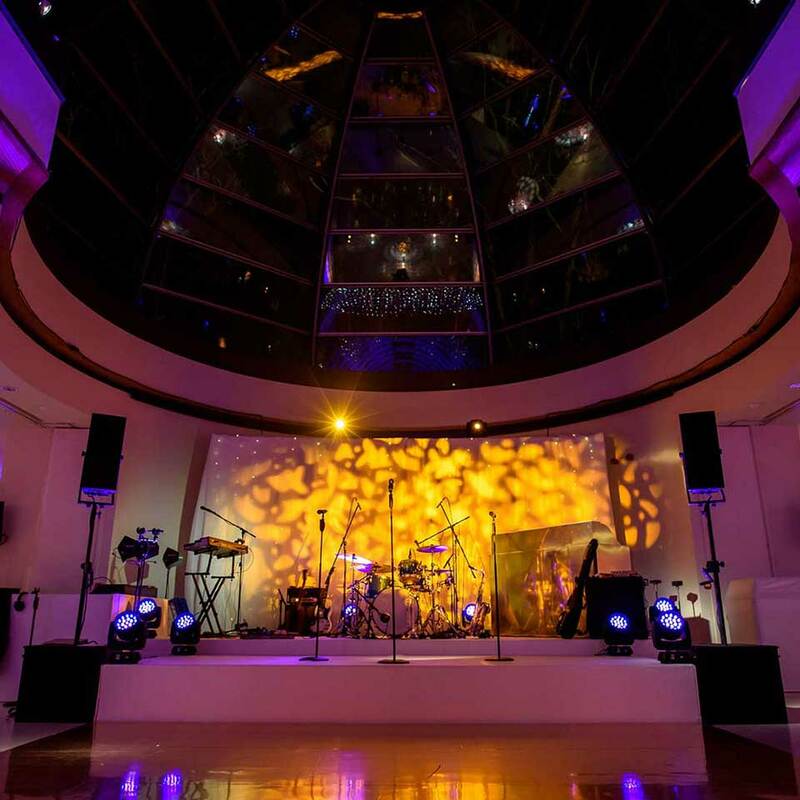 Later on in the evening, we created a party atmosphere with the lighting and a huge 60ft white gloss dancefloor for guests to dance the night away.